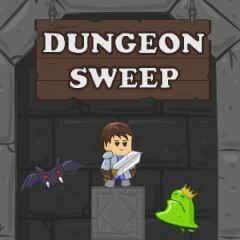 Move your character inside the dungeon tile by tile and make sure that you have enough power to kill all enemies. Unlock each level and collect items and gold from chests. Kill enemies and find a ladder which leads to another level. See how far you can get and what you may possibly face further.